Lightweight prints on a kraft stock, we print these digitally so that the ink has more of a shine and stands out. Can be used as leaflets, info sheet, menus, or whatever else you want! 100% recycled fibre and the nature of the raw material means that there can be slight variations in texture and shade and the board is not colourfast. The board is uncoated with one side a little more textured to enhance its natural feel. Full colour both sides (digitally printed), 130gsm Paperback Cairn Eco Kraft, folded. 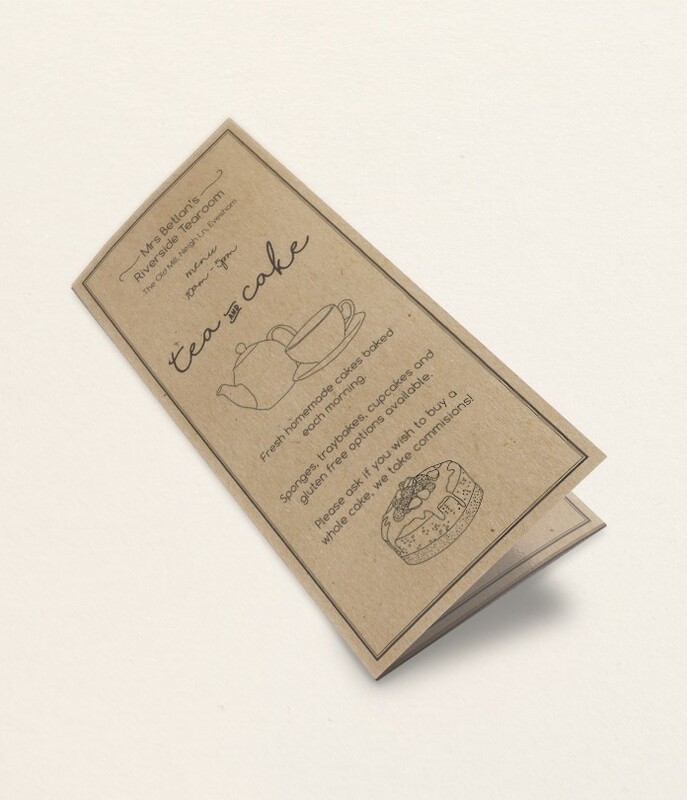 No VAT to pay on leaflets/flyers, but VAT applicable on menus/invites/cards etc (please select in basket). The Kraft stock we use is 100% recycled. Please also note that is is a 2 sided board, so there is a small difference between the colours on each side.